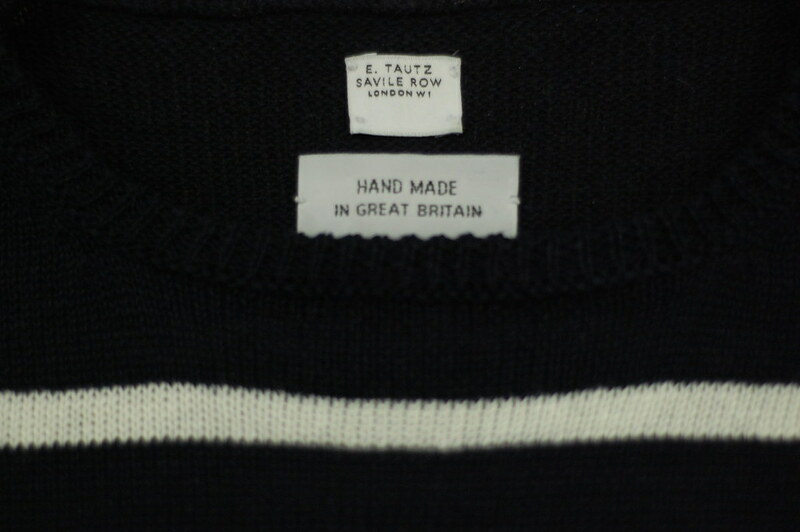 E. Tautz's Breton is hand made in Great Britain. 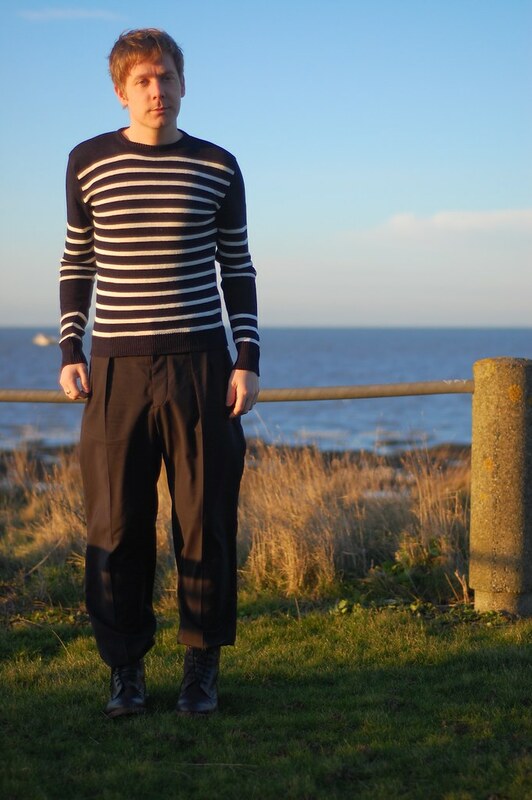 Breton jumper by E. Tautz, trousers by Maison Martin Margiela and brogue boots by Lodger. 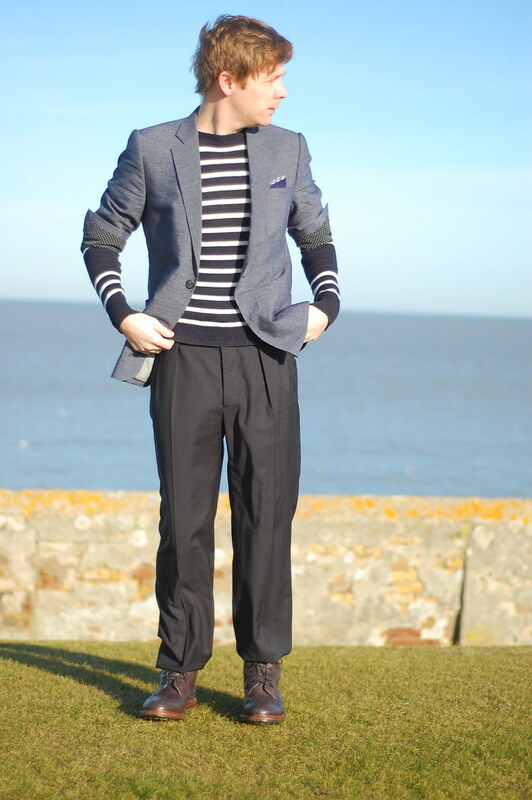 In a piece on Permament Style, Simon Crompton spoke to Patrick Grant who affirmed that “the stripes on a traditional Breton sweater shouldn’t break into the neckline, The first one should start just below, right across the chest. Jerseys, and those made by machine, rarely achieve this as they are made from just a single pattern." It is easily achieved however, if like E. Tautz's version, it is hand knitted. 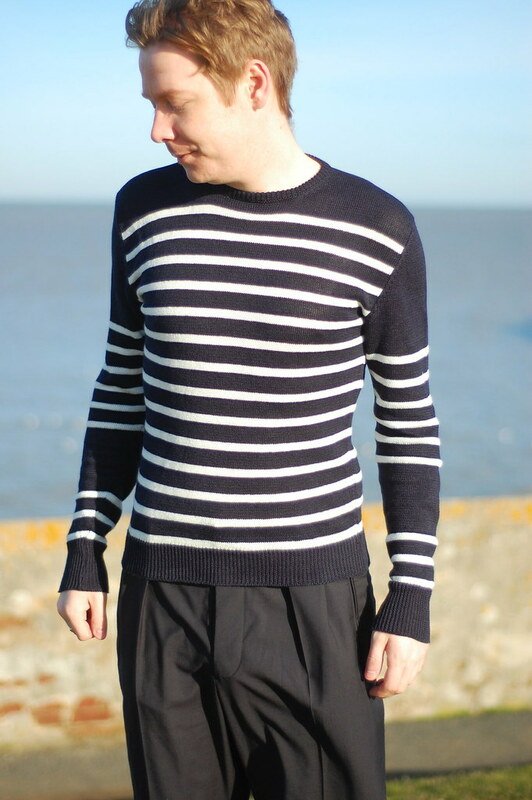 I keep describing this as a classic example of the Breton but, there is a contemporary twist, sections taken out of the stripes on the arms of the sweater. 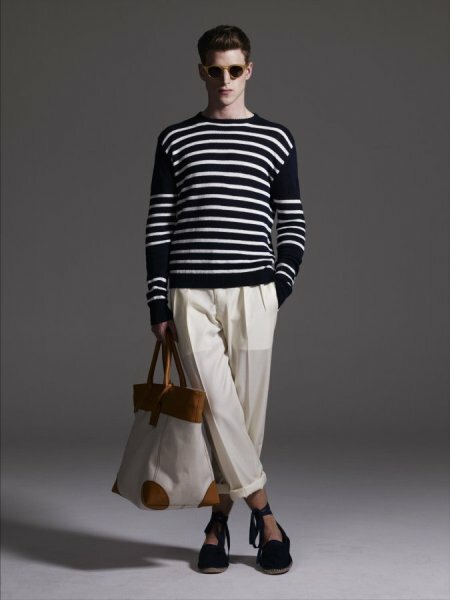 This, like the rest of the collection demonstrates chic menswear combined with a sense of humour, a sense of Englishness that has been lost over the years. The revived house strives to make stylish clothes to which a wardrobe can be built from. 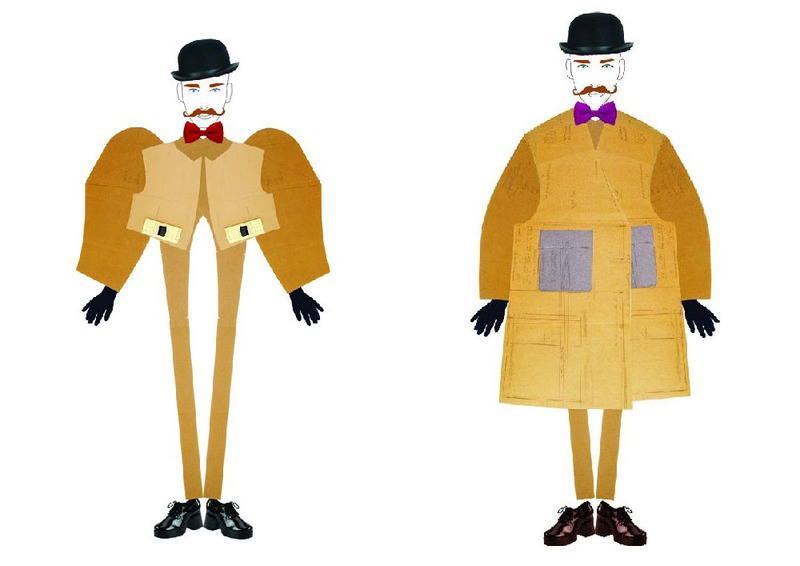 Patrick hopes that in "in ten years time I'd like to think that there are customers who have built a wardrobe of E Tautz, that allows them to dress beautifully every single day of the year, whatever the weather," I'd certainly love to be such a gentlemen and build on my first piece of E. Tautz. In need of another layer..Custom made suit jacket by j.a.daye worn with polka dot pocket square from Muji, Breton jumper by E. Tautz, trousers by Maison Martin Margiela and brogue boots by Lodger. Joe Casely-Hayford for John Lewis. 'Knowlingly understated' capsule collection. Many of you will have been excitedly following Apple's new product launch presentation this evening but we have news of a launch that's far more exciting for us. John Lewis have given us the first glimpse of its greatly anticipated collection designed by the legendary Joe Casely-Hayford. The thirty piece capsule collection, created exclusively for John Lewis, celebrates the best of authentic British design while providing a complete wardrobe, encompassing everything from jackets to shoes. The collaboration will be available in John Lewis stores and online in March with prices range from £60 to £399. Throughout the capsule collection, Casely-Hayford is offering a new take on classic designs and surely achieves the desired cross generational appeal. Highlights include a tailored wax Barbour jacket, colour block contrast John Smedley knitwear and floral jersey Liberty Art fabric shirts. 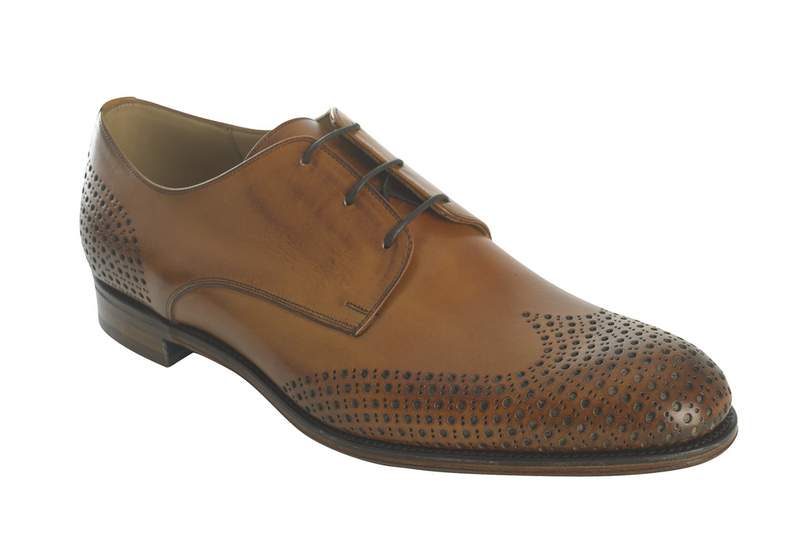 Other highlights of the collection are a range of pastel coloured cords and cotton sateen trousers but it the limited edition brogue shoes which are made in England by Cheaney that leave us salivating all over our keyboards. If you are unfamiliar with Cheaney, they are classic shoe brand undergoing something of a quiet and assured metamorphosis under the ownership of William and Jonathon Church. Founded in 1886 by two brothers, Joseph and Arthur Cheaney, Cheaney quickly became one of the premier shoemakers of England. It is their ability to blend the past with the future, using the finest materials available, which has enabled Cheaney to become one of the premier producers of Goodyear welted shoes in the world today. 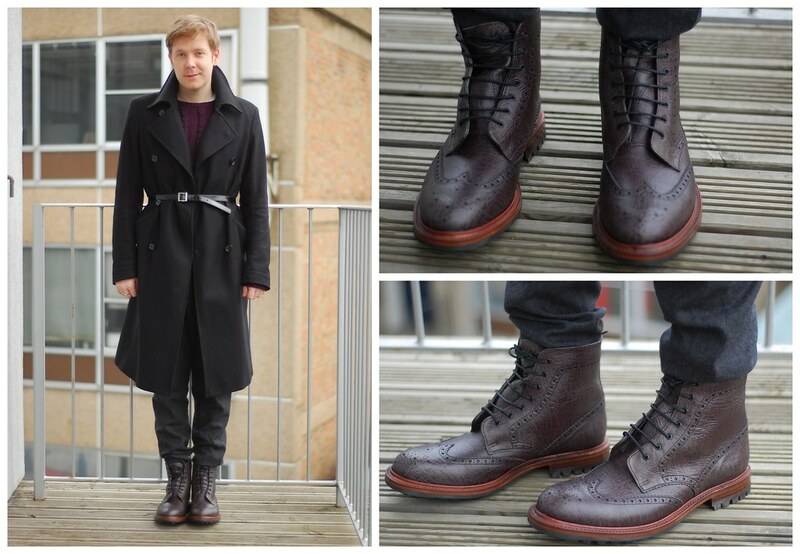 For this collaboration they have helped create the hand punched pukk leather brogues. They are something of great beauty and typify why this capsule collection is so exciting... the collaboration of great British design talent with heritage brands coming together for the high street. 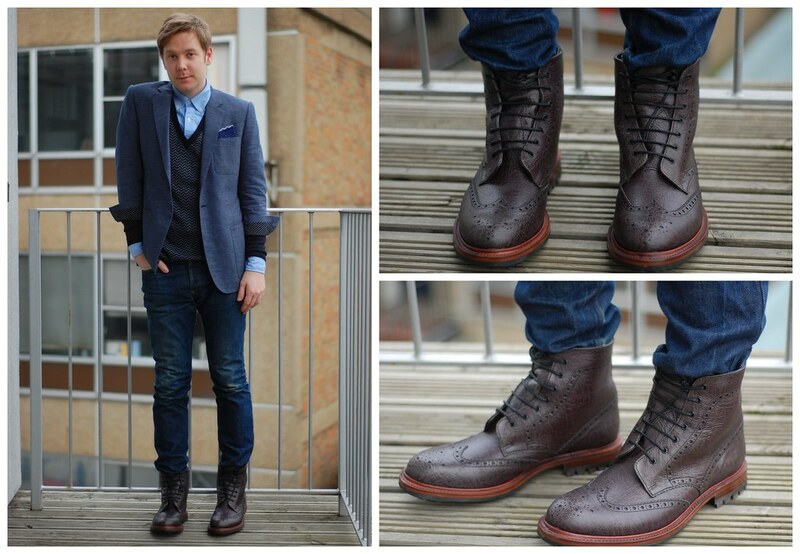 The Pukk leather brogue, £250. 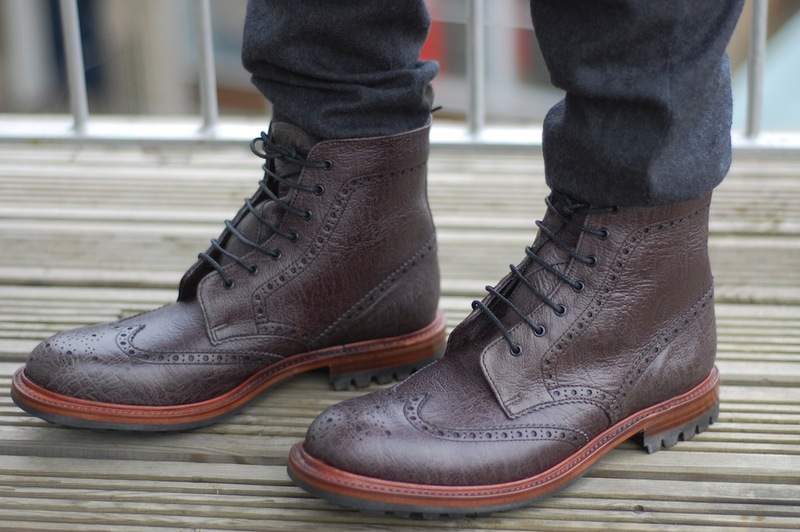 Made in England by Cheaney. 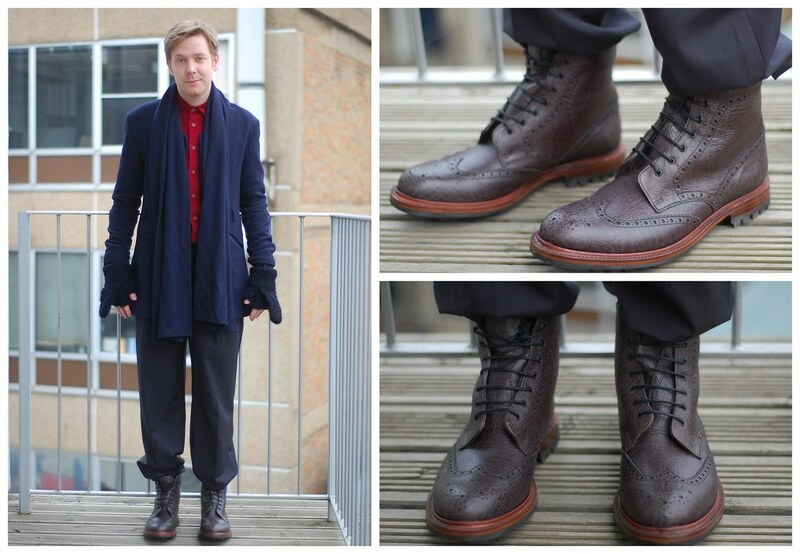 Steve has his eye on these brogues in particular but he will have to be quick. They will be limited to a mere thirty pairs and each pair will be numbered. Once the first thirty pairs are gone, the shoe will be available bespoke for a limited period of time online. From what we have seen from this first glimpse, this is a knowingly understated collection which will undoubtedly appeal to a more fashion conscious man without frightening off the current John Lewis shoppers. Joe Casely-Hayford for John Lewis will certainly see fashion savvy shoppers reassess their perceptions of middle England's favourite department store. Sayaka Yamamoto's Penna jewellery for RA. The life cycle of a butterfly is a remarkable series of changes between seemingly very different forms culminating in the emergence of a butterfly. Throughout nature there are fantastic and fascinating occurrences of many kinds. The metamorphosis of an egg to a butterfly is just one of those wonders that fascinated me as a nipper. I used to spend hours running around the garden with my fishing net trying to catch a butterfly but alas, I was too slow. Sayaka Yamamoto's creations should be easier to catch. Similarly, Yamamoto grew up in the countryside, close to the world of the insects fascinated by their variety of shapes, colours and behavior. This project attempts to evoke those same childhood feelings using imitative materials to recreate the beauty and diversity of the butterfly. The life of a butterfly is both beautiful and short. I remember reading a quote from someone far cleverer than I, who declared 'butterflies to be self propelled flowers'. So, why not make them immortal and immobile before attaching them to your lapel? 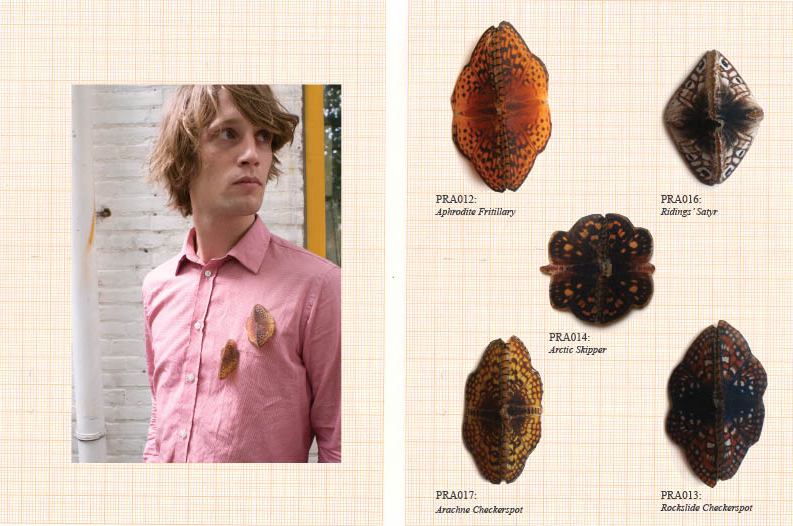 As we catch our breath from the first onslaught of fashion weeks, look books and press days with the second batch fast approaching, it is time once again to celebrate the finer details of menswear and these brooches certainly fit the bill. 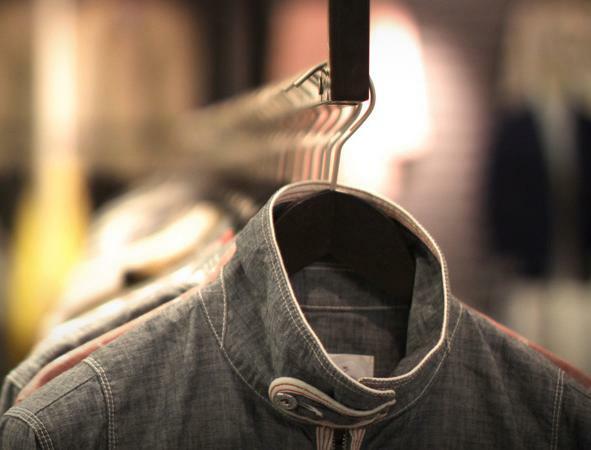 They could be used to transform any mundane, disheveled or aging garment in to a conversation piece. 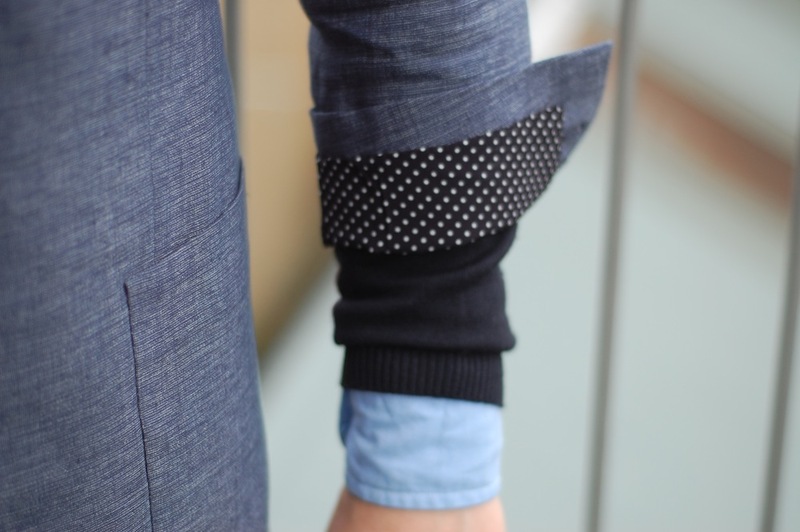 It is all about the finer details and having a little fun whilst getting dressed each morning. I am all a flutter for Yamamoto's jewellery. 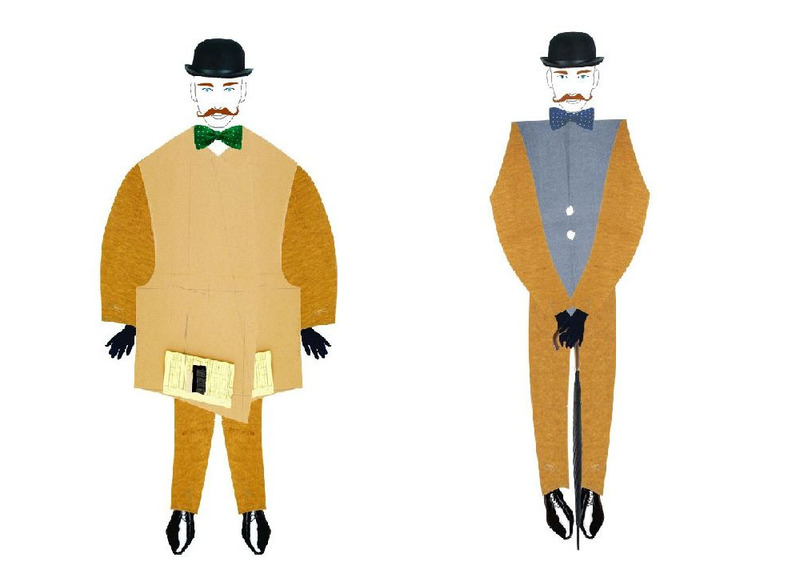 Hormazd Narielwalla's latest creation, Oscar. 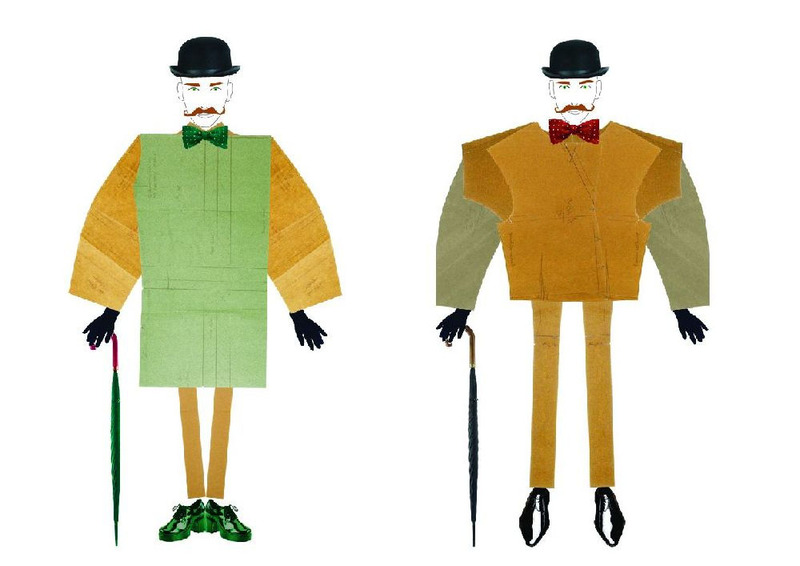 Hormazd Narielwalla's work originates from sets of bespoke patterns belonging to now deceased former customers and from a by-gone era. Everyone sees the finished suit, yet few are privy to that private dialogue which assesses, measures, and catalogues the subtle details which make up one single man and his suit. These patterns have recorded a history of intimate dialogues of customer measurements and fittings over a lifetime but no longer have any practical use to the cutter and are often discarded. The talented artist takes these fragile pieces of parchment out of their original context and breathes fresh life in to the creases and careful folds, along finely traced pencil marks and measurements, giving them a new lease of life as art objects. 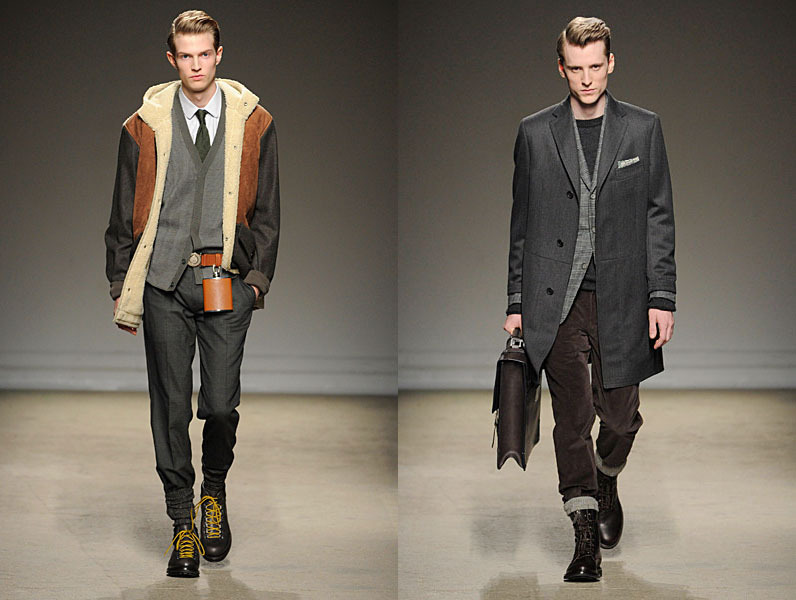 Hormazd's creations channels the quirky sense of English tailoring style which is a fundamental facet of Savile Row. They remind me of the E. Tautz film presentation last season. E. Tautz is a label which offers simple tailoring with a little something extra, a bit of pomp, colour, a sense of humour and that Quentin Jones film captures it all. Here Hormazd has gone a little deeper and has exposed that wry smile, sharp wit and sense of eccentricity prevalent within so much of English tailoring. 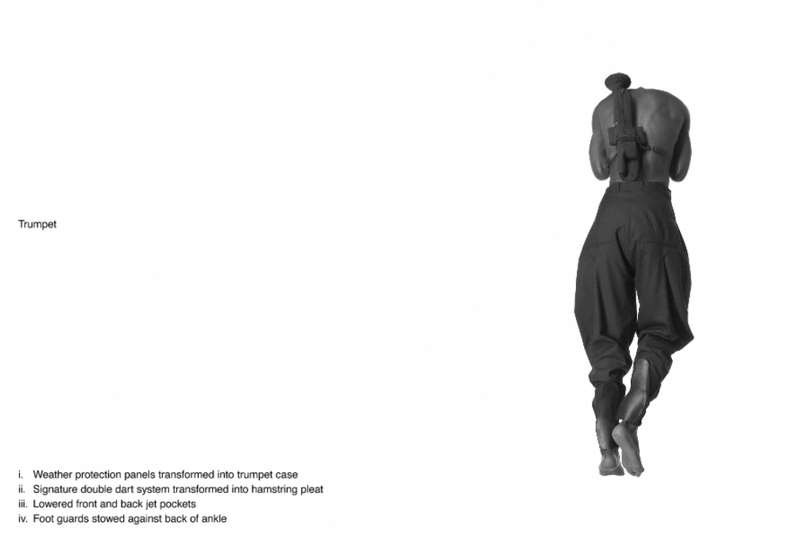 Aitor Throup shows some leg. 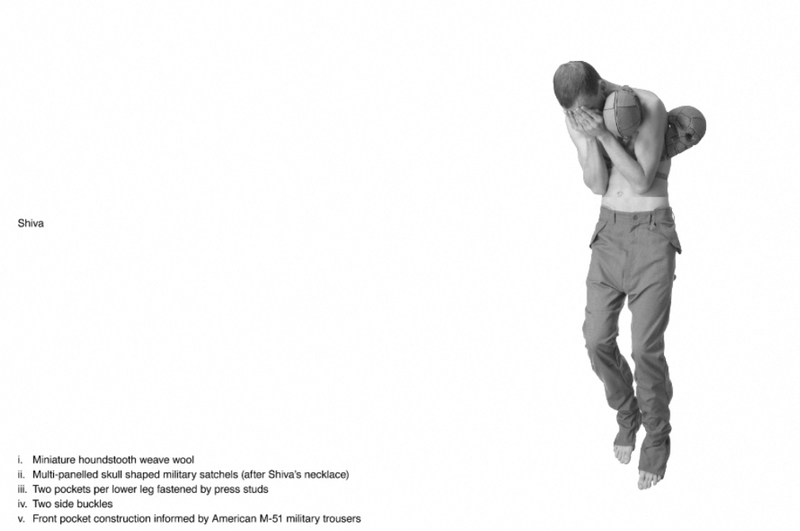 Presentation image from Dazed Digital. I often recall a remark he made in a piece for the Independent: "I only believe in origin, process and innovation." Throup is only interested in justifying each and ever design feature whilst avoiding gratuitous detailing. This mantra is no more apparent than The Funeral of New Orleans. 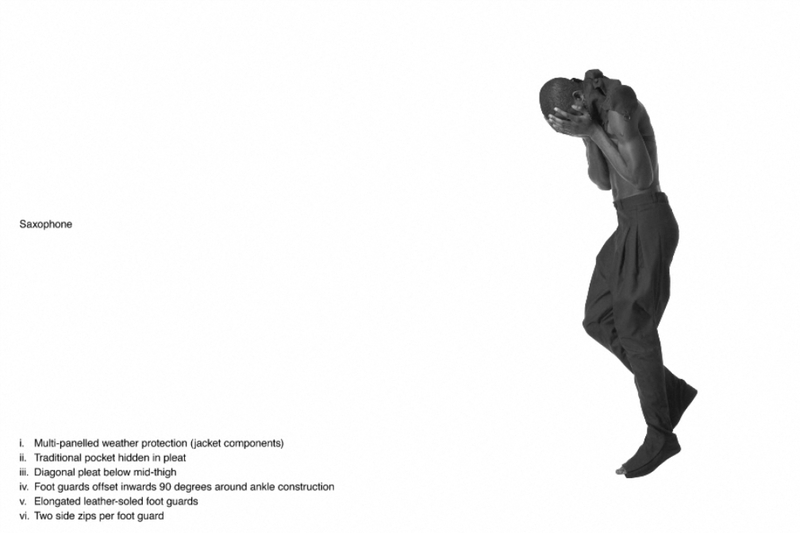 This was Throup's first presentation as part of the MAN showcase in AW08 (the film made with Jez Tozer can be seen over Showstudio). It was a response to the aftermath of Hurricane Katrina. 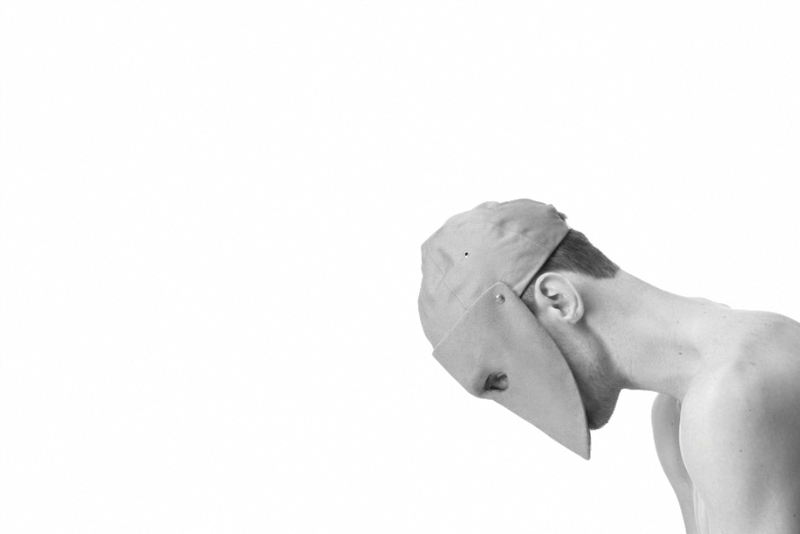 Throup's collection told the story, through clothes, of how five members of a marching band protect themselves and their instruments. 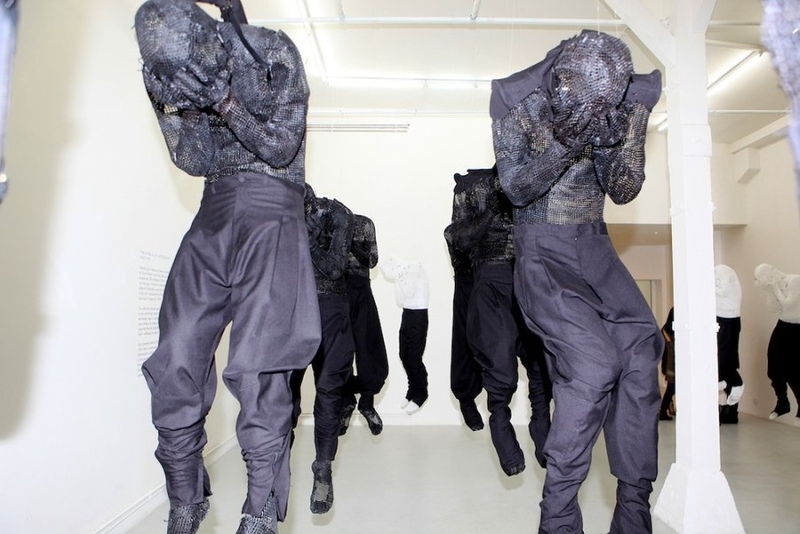 The presentation confirmed Throup's radical approach to both fashion design and the communication of his collections. Consider my appetite well and truly whet for the prospect of what is to come from this exciting designer next month at LFW. 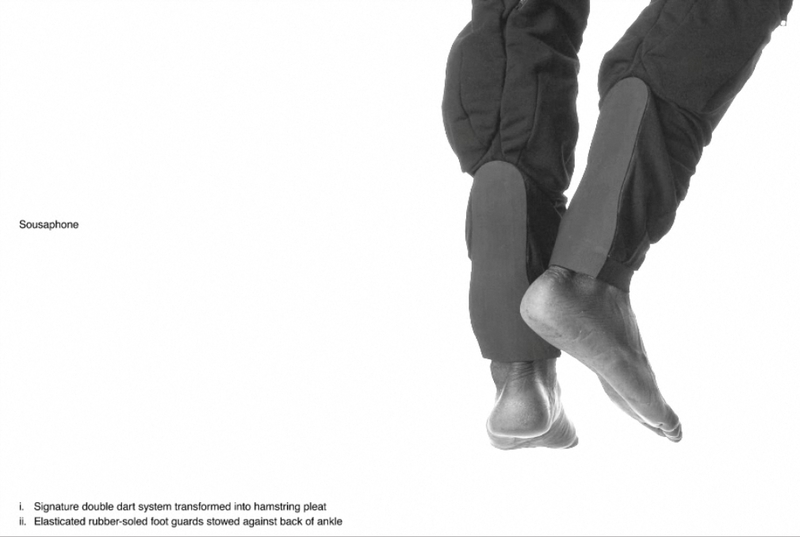 In the meantime why not watch the full stop motion animation on Aitor's website which gives you a three hundred and sixty degree view of each of the trousers features. The waiting game is over...Lodger's Kudu Brogued Boot. After interviewing Lodger's Nathan Brown back in September my imagination was overwhelmed following his description of his September shoe of the month, the Kudu Brogued Boot. From this moment on I have been day dreaming about them gracing my feet during the coming winter months and beyond. 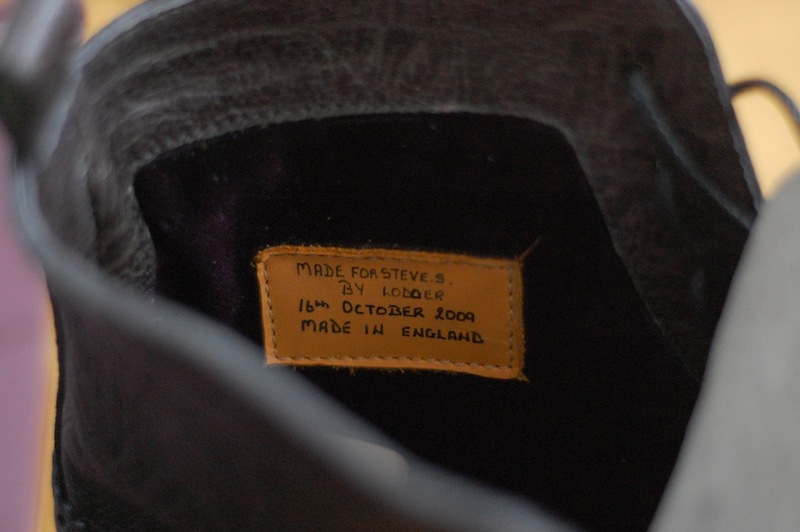 When the Clifford Street store released the first images of the boot I fell head over bootless heels. They were the boots I had dreamed of wearing this winter but until then did not know they actually existed. After placing my order in September I have been patiently...screw that...desperately waiting for that moment when I could take them home. Relaxed tailoring...Carolyn Massey for Topman Lens scarf coat, red cord shirt from Uniqlo, Carolyn Massey mittens, Maison Martin Margiela trousers. An air of the military...My trusty old favourite (but often forgotten) Zara coat styled up with a black patent belt from Topman, Carolyn Massey cable knit jumper, Unconditional wool trousers. Updating my everyday uniform..Custom made suit jacket by j.a.daye worn with polka dot pocket square from Muji, blue oxford shirt from Uniqlo, Oliver Spencer patterned jumper and my slightly battered A.P.C jeans. A close up shot of my favourite look which demonstrates the mix of textures and patters. You might have noticed that our coverage of the activity in Milan and Paris has been a little sparse. It is not because we feel uninspired by the catwalk but rather the opposite, we are a little overwhelmed and are just soaking it all in before posting a full round of our favourite looks. However we could not continue such a measured approached for Last year's British menswear designer of the year Kim Jones. 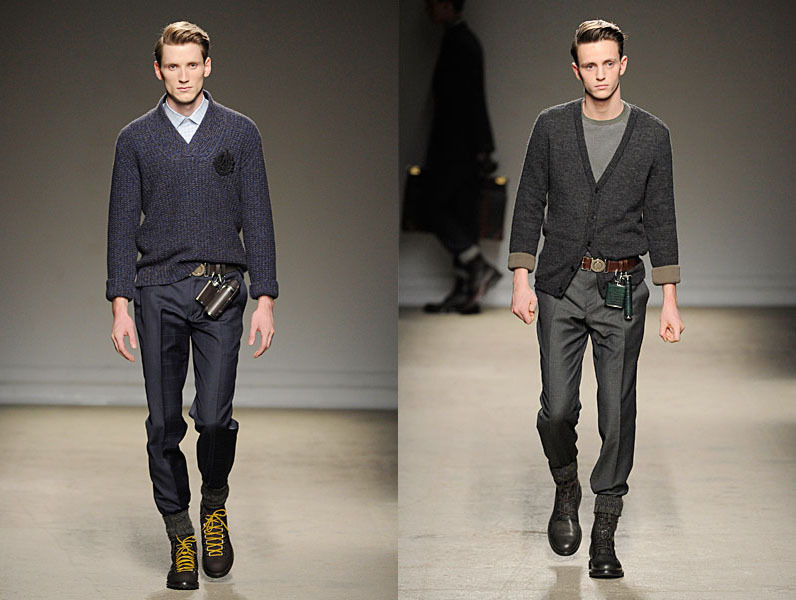 Jones' has once again demonstrated his brilliance for Dunhill's AW10 offering. 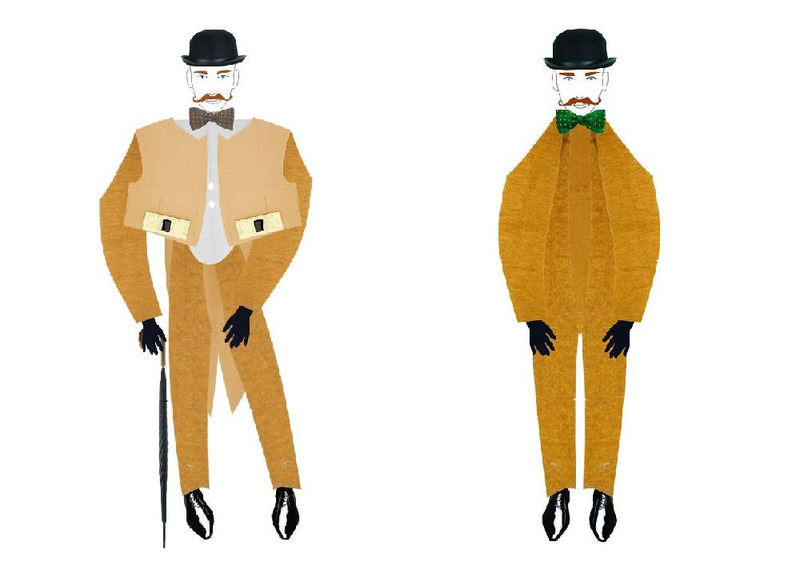 After drooling over Dunhill's SS10 collection last season, I have been salivating over the thought of seeing Jones' vision for AW10 (so much so in fact that even Pavlov's dog have been giving me that all too familiar disapproving glance). Thankfully the waiting is over and the collection is everything I wanted and expected it to be. A fusion of heritage with modern day luxury. As with SS10, Jones has picked out key inspirations from Dunhill's illustrious past and repackaged them for the new era of luxury. In an interview with Wallpaper last year it was quite obvious that Jones' takes great delight in investigating the past whilst adding his own innovation to create the Dunhill of today. The heritage of Dunhill is so broad and so darn British, from its beginnings with the birth of the car to creating luxury accessories for motorcycling, aviation and the oh-so-fashionable smokers in the Roaring Twenties. For AW10, the central inspiration is the journey of Clement Court and his role in expanding the Dunhill empire. 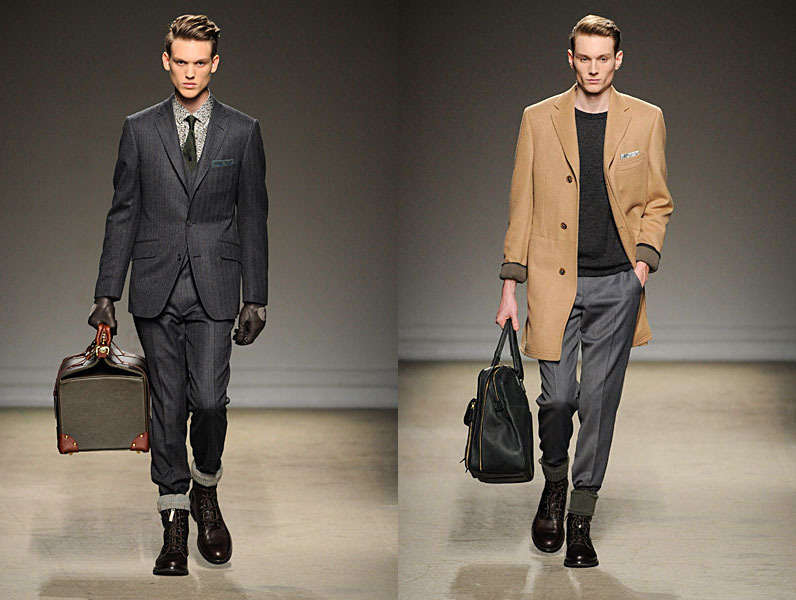 The collection itself is full of very British looking suits mixed with lots of cashmere knits and heavy wool outerwear. It has been inspired by an entrepreneurial, passionate travelling English gentleman who demonstrated exceedingly good taste levels in everything he did and Jones' interpretation is undoubtedly fit for the modern day Clement Court. For a brand with such strong roots, any steering by Jones has been to emphasise them – those being the characteristics of classicism and understatement but his challenge was to present these with a wholly modern personality too which he has surely done with this collection. 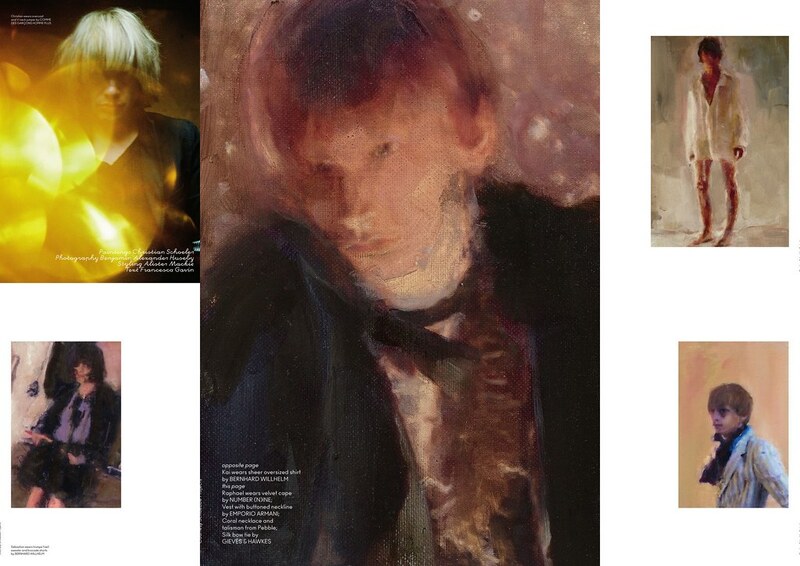 Christian Schoeler's oil paintings were used in Another Man. Back in March I posted how I was blown away by an editorial in Another Man. Each of the inspiring looks were accompanied by oil paintings by a young German artist, Christian Schoeler. Schoeler's paintings worked with and complimented the romantic, slightly damaged aesthetic of the Alister Mackie's styled shoot perfectly. Schoeler and Mackie melted away the boundaries of art and fashion and we are left with something quite remarkable. 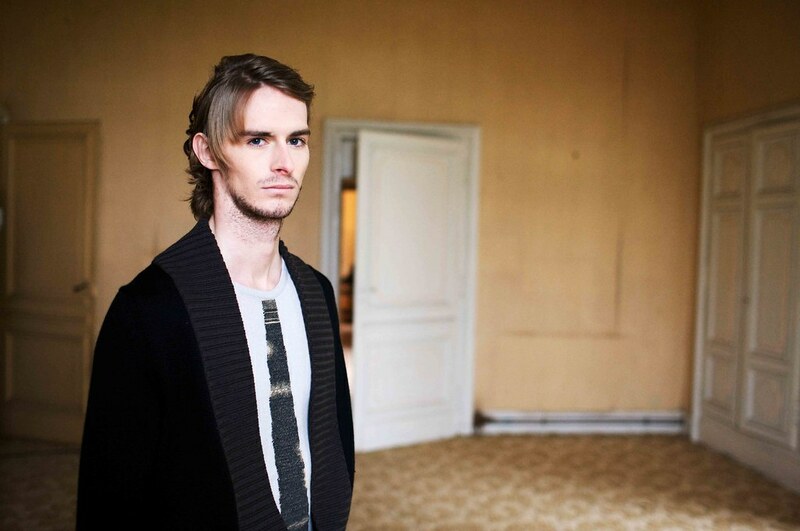 From this moment on I have been eager to see more from Schoeler and thankfully he has teamed up with Paul Helbers at Louis Vuitton once again for AW10. Christian Schoeler and Paul Helbers combine to create these truly spectacular bags for Louis Vuitton's AW10 collection. 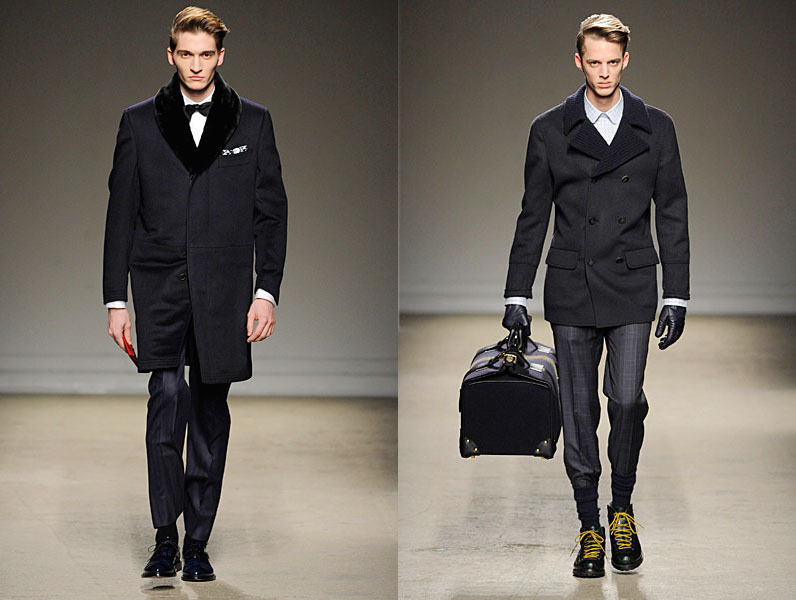 After creating suits for the previous season, the pair moved on to accessories, namely bags. There were three models, two large weekender style bags and one square rucksack (my particular favourite). Now I have to confess that I have been swamped with work these past few days so have only really left one lazy eye on the early action in Paris but these hand painted bags in amongst Louis Vuitton's military inspired winter collection really captured my full attention (thanks to Dazed Digital). For me the square cut nature of the bags works perfectly with Schoeler's paintings. 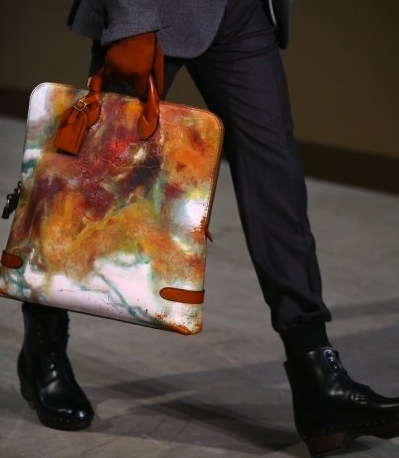 The square leather is a new type of canvas for the German artist but once again, he has blurred the boundaries between fashion and art whilst creating pieces to truly covet. 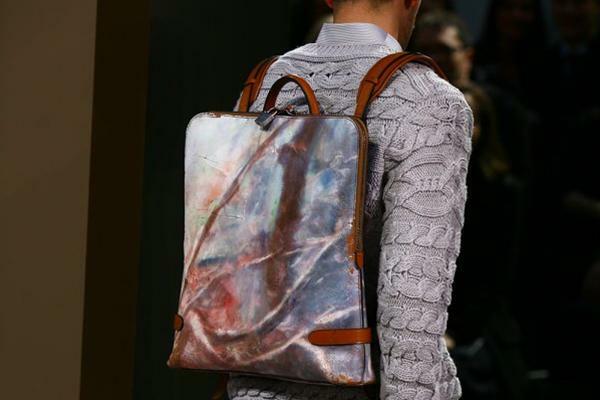 Christian Schoeler and Paul Helbers create yet another beautiful bag for Louis Vuitton's AW10 collection. 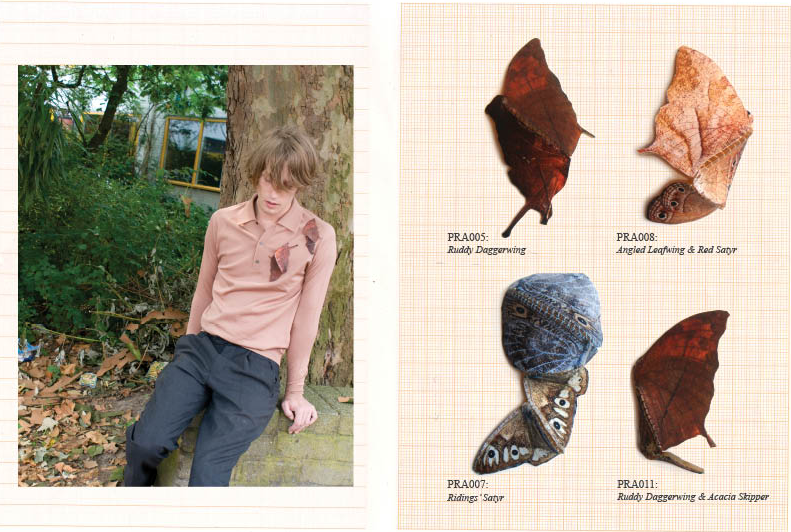 Xavier Brisoux’s AW10 collection, Penelope. Look book photography by Mathieu Drouet. 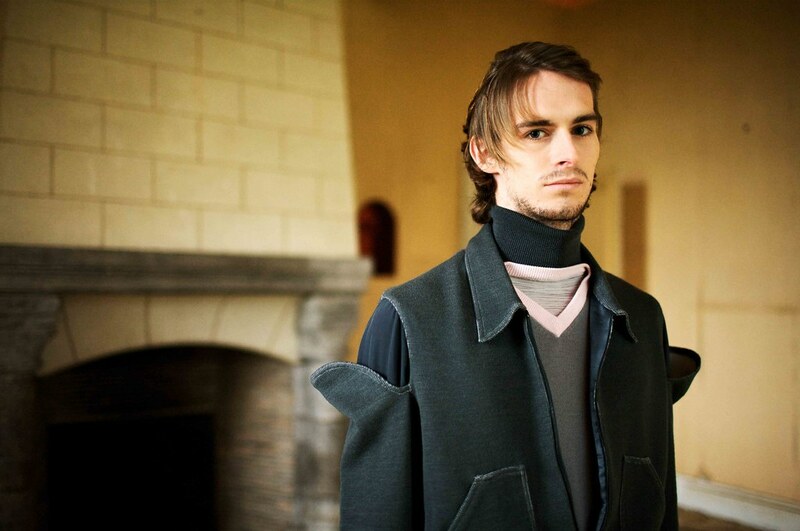 After graduating from Central Saint Martins in 2005, Brisoux began designing knitwear for Anne Valérie Hash but in 2007 he launched his own line, xavierxbrisoux. 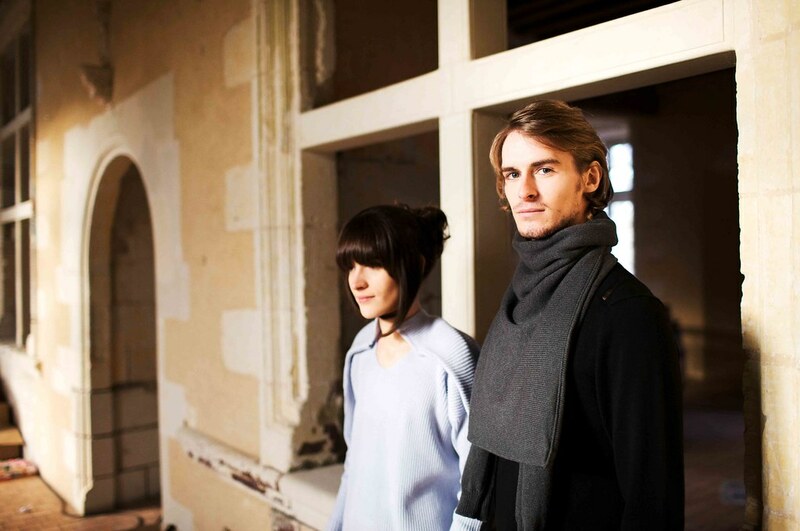 Initially the French designer focused on menswear but has since developed a unisex collection featuring around thirty designs. 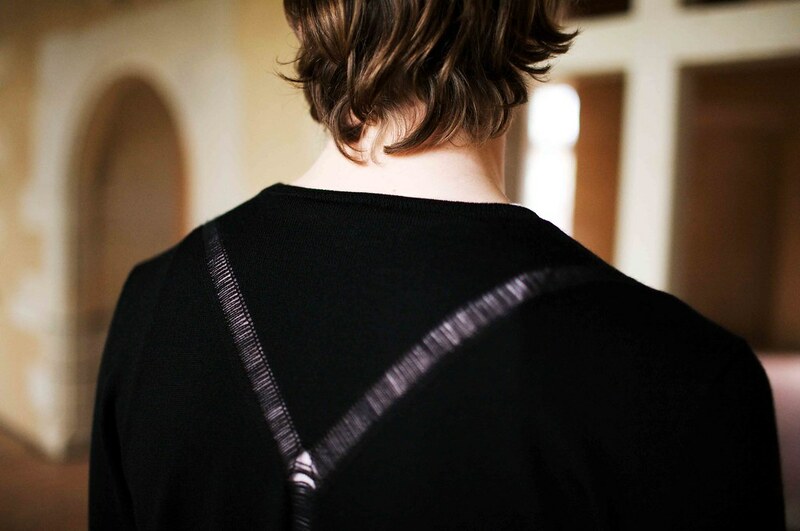 For Brisoux knitwear is not seen as a lesser part of a larger collection but rather, it is central to his experiments in creating a new way of envisioning men's fashion. Brisoux professes that a collection is at its best when it tells a story but there is a fundamental need that the garments remain wearable. For AW10, he certainly excels in both. Now, I have to confess... culture neanderthal that I am... I'm not too familiar with the story of Penelope weaving and unravelling her tapestry whilst waiting for her husband Ulysses to return (much to the amazement of Susie... "What did you learn at school?" says she. Answer: not a great deal). However, it is a story which has inspired artists throughout the centuries who have depicted Penelope’s feelings, anxieties and dedication to her work. Thankfully, Xavier Brisoux has taken direct inspiration from Penelope’s myth while making and unmaking the structure of his garments. 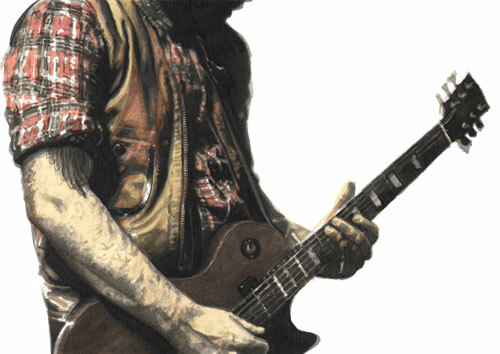 By adding imperfect details to otherwise flawless pieces. By layering an unfinished jumper on a finished one and hand embroidering subtle minimalist tapestry like motifs into his knits. The more I look at this collection, the more I see. Unexpected shapes arose during his process of deconstruction and reconstruction and Brisoux has, on some level at least, become a modern day Penelope. 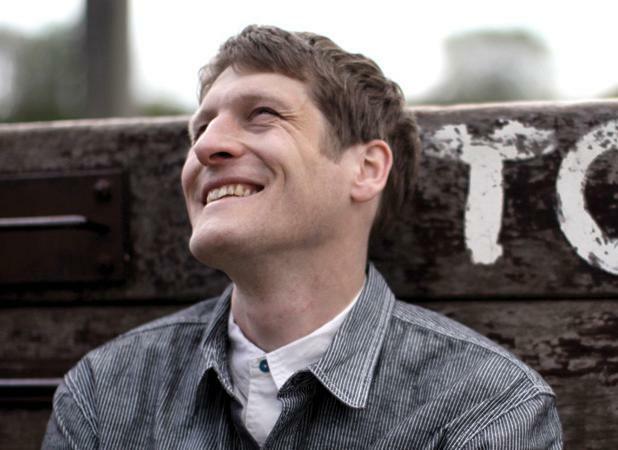 Rather than embroidering a tapestry, he is working on an evolving knitted piece. The collection demonstrates a keen attention to details whilst featuring classic knitting techniques which have been reinvented in a modern way. Just one of the handmade embroidered pieces that look like prints. The first piece of embroidery apparently took twenty five hours to complete. For me, knitwear is relatively an unexplored field within the realm of fashion. The knitwear scene within womenswear is exciting at the moment thanks to talented designers like Louise Goldin, Sandra Backlund and Clare Tough. These designers have truly celebrated and explored the possibilities of knitwear. I'm certain that Xavier Brisoux can do the same for menswear. 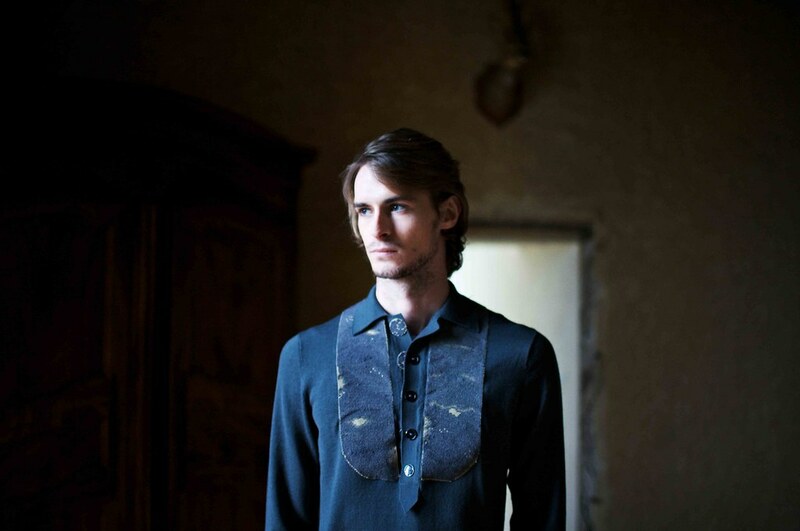 In the meantime the collection will be on display at Rendez Vous Homme from 22-25 January 2010. 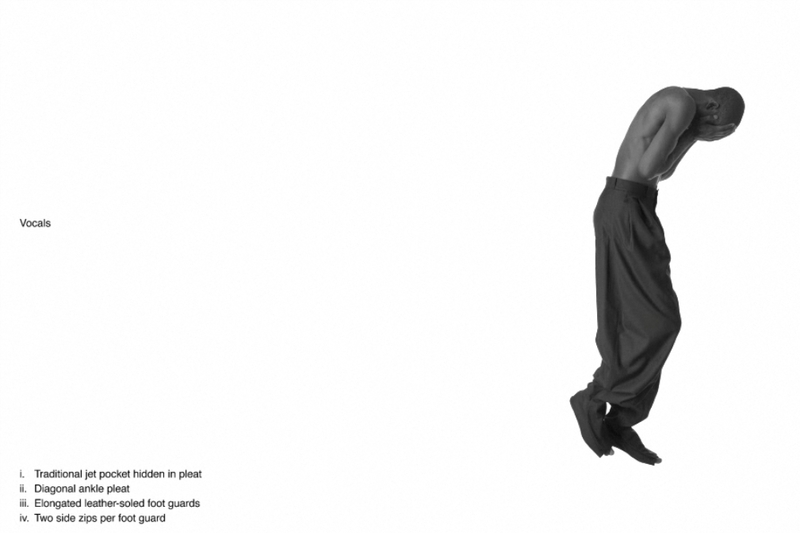 Look book photography by Mathieu Drouet. 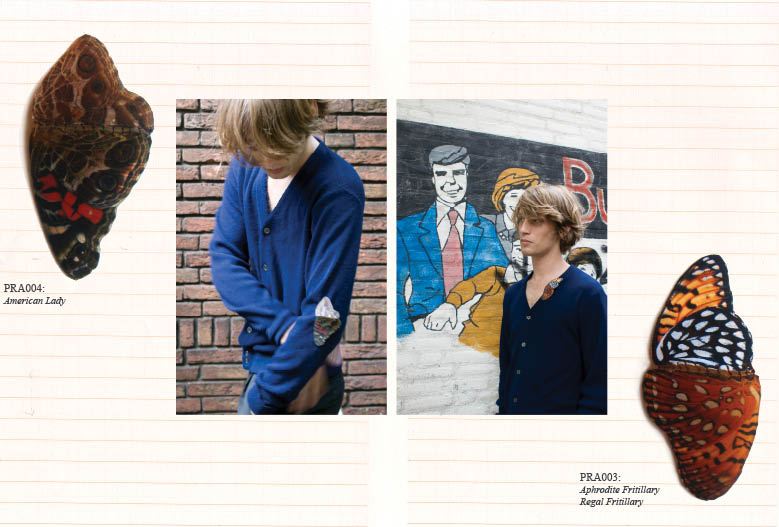 Image from Hypebeast's recent feature The Globetrotter: Ian Paley of Garbstore. SS: What were your inspirations, your dreams and the driving catalyst behind Garbstore? Ian Paley: Garbstore was/is an idea that I guess I have always put into everything I do, Giving it a name I guess was the catalyst, The idea of moving Heritage forwards by looking and imagining what product could have been around at any particular time. 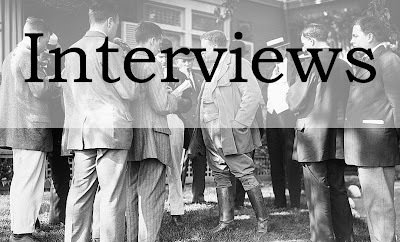 I'm constantly inspired by so many things it was good to try and create a constant thread that really everything we do here has to aspire to, In truth I try and walk that fine line between a historian, designer, modernist and fan. I suppose the drive behind the brand was the realisation of why I have this insane attraction to dead-stock product. My dream is one of constant learning and improving what we do. SS: What does Garbstore mean to you? Ian Paley: Put very simply it means 'clothing shop'. I like the use of the word garb because like so many other things these days , it's use is dying out. Hopefully it will appear in our vocab again. Both in the brand and in the store we try and introduce a little part of Heritage mixed with some new ideas, we have Newtons new running shoe in the store, it sticks out like crazy, I love it. SS: How have the last few years been, is everything going to plan? Ian Paley: It's been pretty good for us, this isn't the first time I've boarded this train albeit on a different route, I'm happy with where we are and have a good idea of where we are going. The biggest challenge has been finding the right people to work with me, I have great staff and are very thankful that they are along for the ride. We continue to grow and expand into different territories, i think these days it's not about borders of countries, the fan base is global and I'd rather have a few stores per country than I sprawling network of unmanageable bills. you know we get so excited by actually creating new products and are constantly developing products and ideas that we never really pause to look up. One of the rails inside Garbstore. 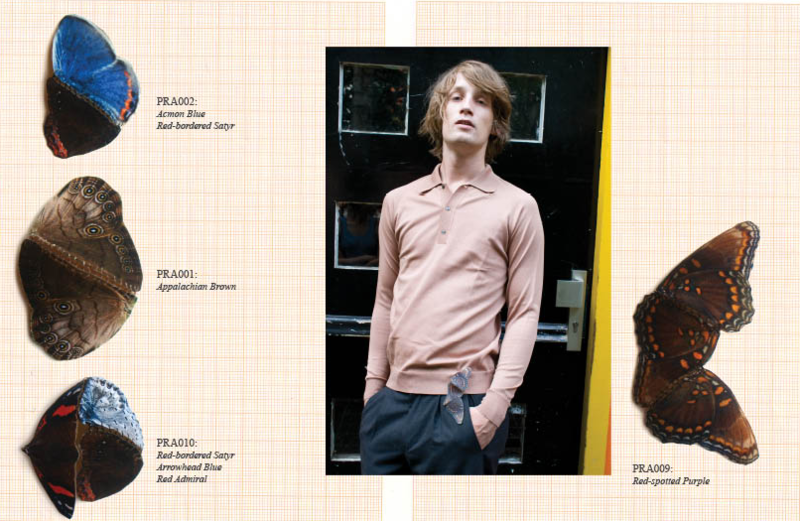 Image from Hypebeast's The Globetrotter: Ian Paley of Garbstore feature. SS: What were the first and last items you remember designing/producing for Garbstore? Ian Paley: The first item was our basic Revis jean, it remains constant and hasn't changed in six seasons, also our Government Chino, very tapered, Japanese cloth, in Purple. Couldn't give them away, the buyers were like ' oh no, I can never sell chino's'. I get asked for nothing but chino's these days. That's the part I find the most disappointing the gulf of difference from what the public want to what a buyer thinks they want or more importantly what they wish to sell. I'm glad we have our own store as we get the opportunity to prove ourselves right. SS: The website looks great and we love the new features, in particular the first part of your manufacturing series. 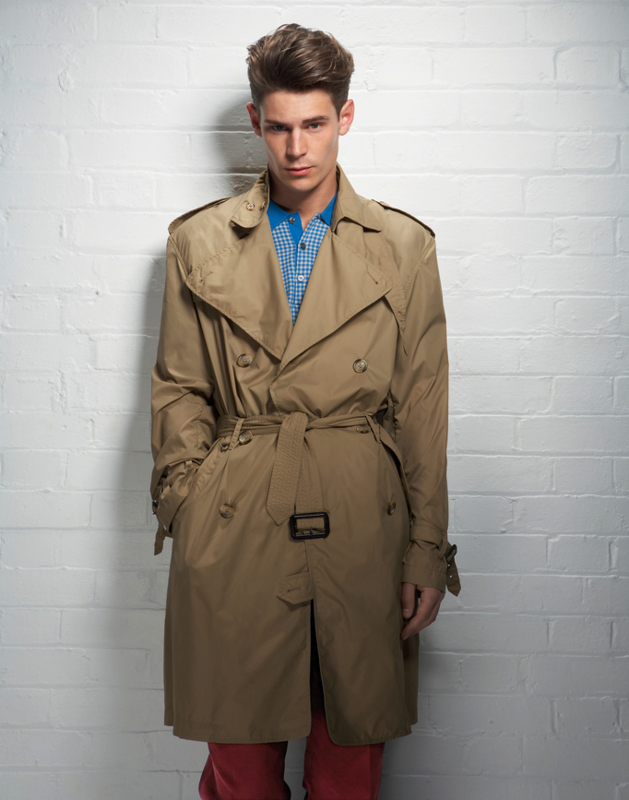 Is this just the start of using the site to explore the side of men's fashion which is more often than not forgotten? Ian Paley: You know it's a real trend to try and in-still 'heritage' into your product, It's really appearing to be fake now. So boring. We just love our manufacturers, and are happy to share in their own successes. SS: How do you see the brand developing over the next couple of years? Ian Paley: I like the idea of splintering ideas, collaborations these days are two a penny, but working with new companies and like minded folks is a real joy and we are constantly looking at new projects that are different to what people would expect us to do. We try and collaborate with people. 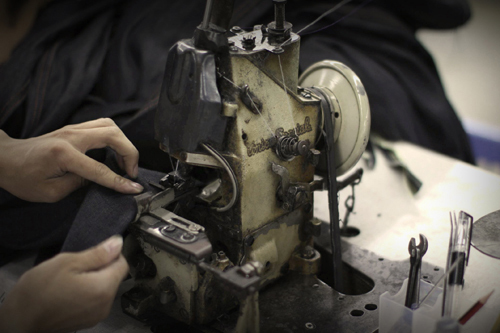 I'm really excited about some new stuff in the pipeline and over the next few years there are a few big changes planned..
Garbstore's Manufacturing Series, Chapter One: Sewing. SS: Having founded One True Saxon and helmed R. Newbold and Red Ear, you've certainly played your part in modern menswear in recent years. How has the menswear landscape changed over the years? What excites you about the future of menswear? Ian Paley: Menswear is cyclical, I remember the last heritage boom, it will end and will end soon. I expect a swing to advanced technologies, this will really bring the big companies back in as it's almost impossible for an emerging brand to adopt and afford the technologies that will be required to make the relevant product we expect to see in the next few years, We have had our independent swing, it will travel back the other way soon. Change is always good and by then I hope we are in a place where we can explore the more technical sides of our ideas. 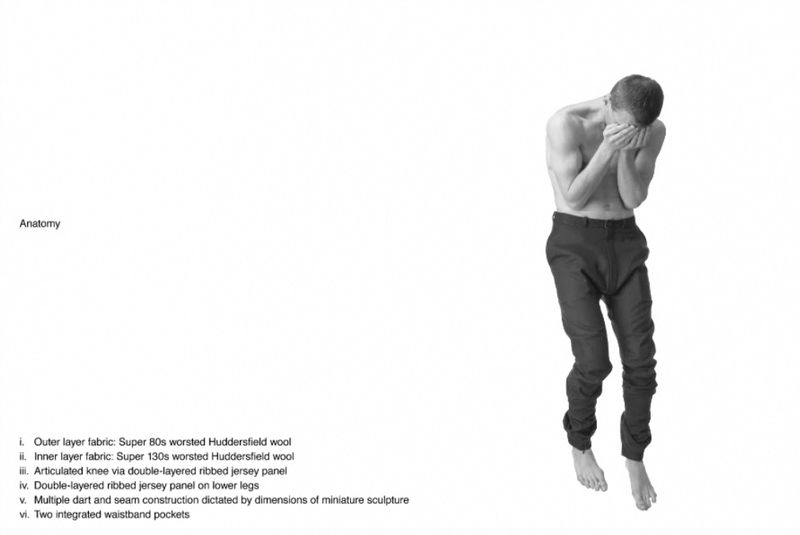 Ian Paley: Sweat pants. I cannot get enough in my life. Ian Paley: I would have liked to have been in the queue for a demobilisation suit as this marked the birth of casual wear in the U.K.
SS: How would you describe your own style? Ian Paley: Erratic, Old and new, Very English by ignoring English Heritage! Garbstore's SS10 'The East Empire Service Company' is the brands fifth collection and was presented by photographing and illustrating The Mighty Low. Ian Paley: For Spring ten we have the most fantastic Sateen Peasant chinos, I've been living in a green pair for weeks now. 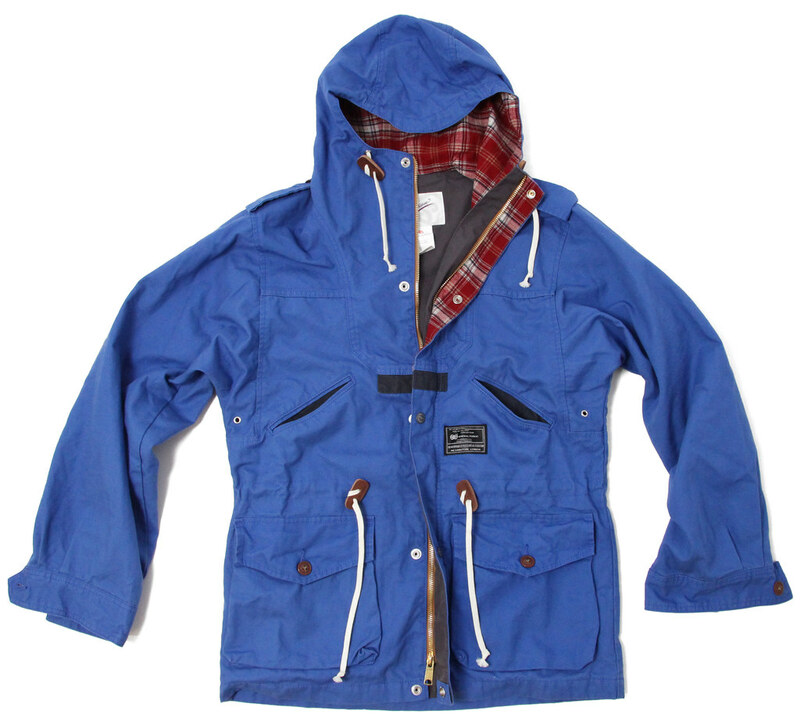 They are a favourite in the store, we have some special editions of our Mountain Providence Parkas with dead stock fabrics in the hoods, they are so special but also fun, it's important to be playful and not get embroiled in the nerdy side of heritage. Even our simple 50's T-shirts in melange pastels excite us just because they are 100% cotton, a sample change but it transforms a fairly classic item. SS: We hear that you have a few interesting collaborations coming up, can you let us more about them? Who would you love to work with in the future? Ian Paley: Mums the word on the collabs, We have the Mighty Healthy Ts out soon, so inspiring for us to work with Denis and Ray on those. One of the few brands I admire and love. SS: What are you favourite pieces currently available in-store/online? Ian Paley: The 'for miners' shirt from Mountain research in the blue Oxford is beyond improvement, a perfect item. We also love our Sea Vees shoes. They are becoming firm favourites here in West London. SS: Finally, would you be able to share a few address book recommendation to our readers (hairdressers, tailors, cafes... anything you like really) which we will duly add to our Map. Ian Paley: Every day without fail we by our coffee from our local Progresso which is collectively owned by Oxfam and the growers, it's just good coffee and an essential part of what we do. My favourite Tailor is Norton & Sons on Saville row, the original. They invented the Safari suit and heritage just pours from the company, yet they have a totally modern outlook and ethos that is very different to the rest of the row. The owner Patrick is a pal and a good ear to bend on the state of menswear. We also have a great chocolate store called Melt around the corner from the store, they make the chocolates in the store, I like stores which comfort you, it's a nice environment to walk into. Most evenings some of us can be found in the bowls of Crazy Homies stuffing our chops with Mexican street food and guzzling some fairly fantastic margaritas. We are lucky to live and work in such a diverse and creative neighbourhood.